Beginning Sounds Center Activities for Pre-K and Kindergarten! 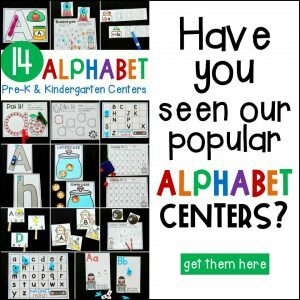 In Pre-K and Kindergarten we work hard learning the letters of alphabet and we really want to become great readers! We begin by mastery of knowing the letters of the alphabet and also working on letter sounds! Finding fun, effective early literacy activities can be a challenge, but not today! 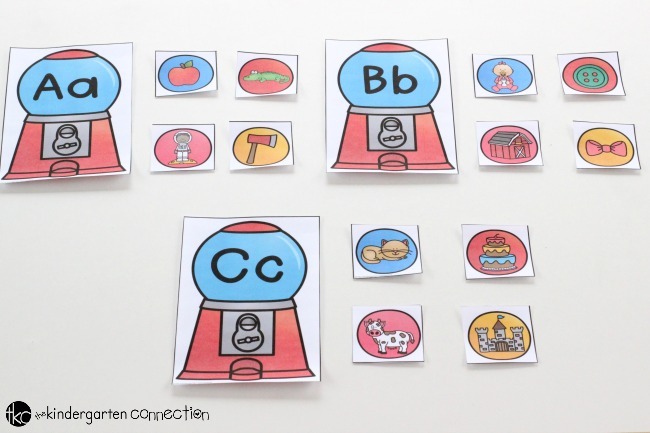 I’m excited to share with you these Beginning Sounds Center Activities! 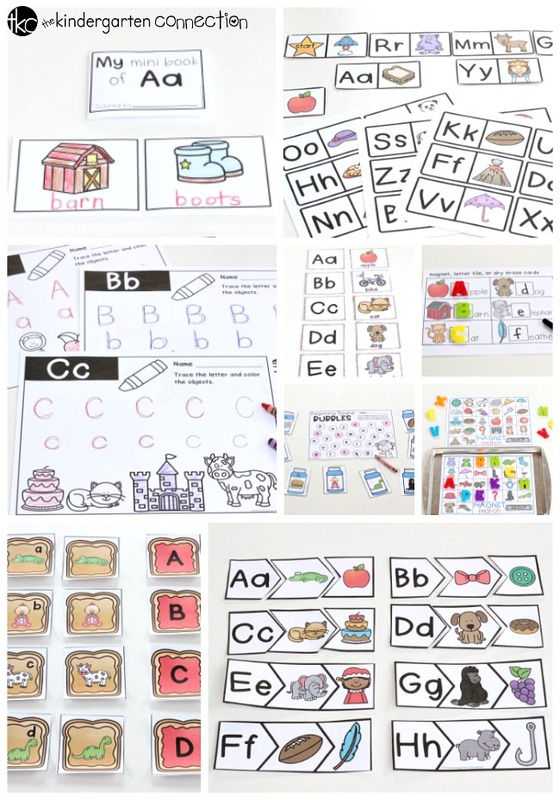 Your students will practice beginning sounds with a variety of engaging, hands-on activities! 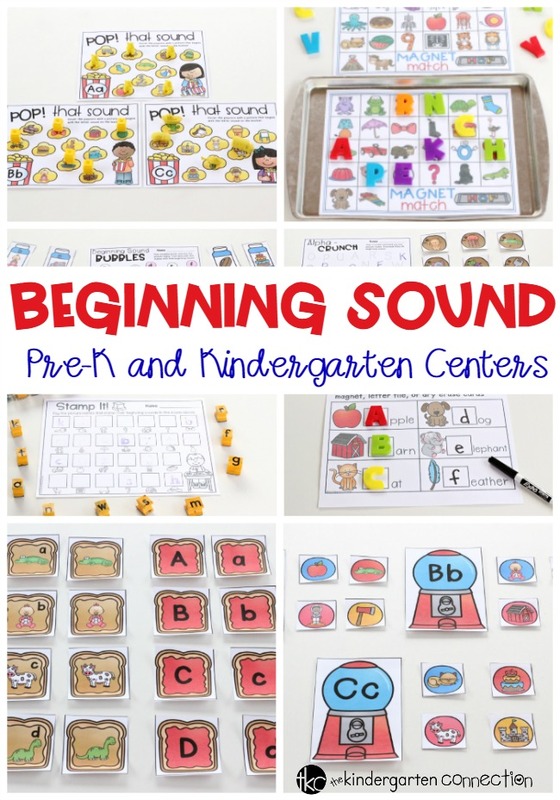 Grab the Beginning Sounds Center Activities HERE or snag the HUGE Print and Play Centers Bundle to have skills-based centers planned for you all year long. 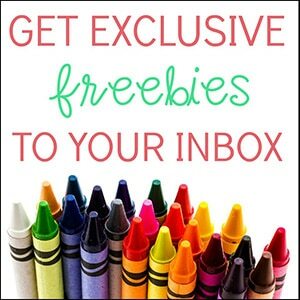 These activities are suitable for pre-K and Kindergarten students. 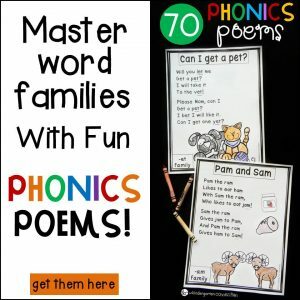 You can use them in small groups, centers or for partner work! Our Beginning Sounds Center Activities aren’t themed for a specific holiday so that means you can use them ALL YEAR! That’s right…you choose when to use them! Here’s a peek at all of the awesome activities you’ll get! Choose a gumball beginning sound picture card and match it with it’s matching gumball machine letter. You can place this in a center and have students only working on a few letter sounds at a time. Children can work with a partner and place the beginning sound gumball picture cards in a drawstring bag and take turns choosing a card and placing them by the correct beginning sound gumball machine. 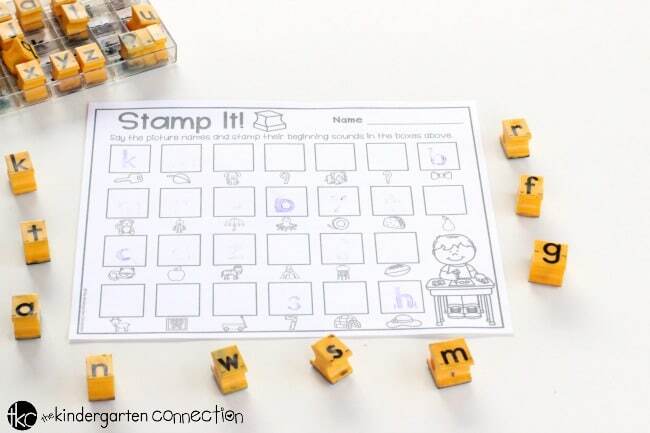 Children will use stamps to stamp the letter that matches the beginning sound of each picture. This activity is perfect for a center activity. We like that it also works fine motor muscles too! Children will work independently or in pairs to cover up the pictures that match the beginning sound of the letter on the popcorn bowl. Give children some popcorn to “cover up” the beginning sound pictures or use a small manipulative if you’d rather not use a food item. Partners can work together or turn it into a race! They can see who can cover their popcorn cards first! 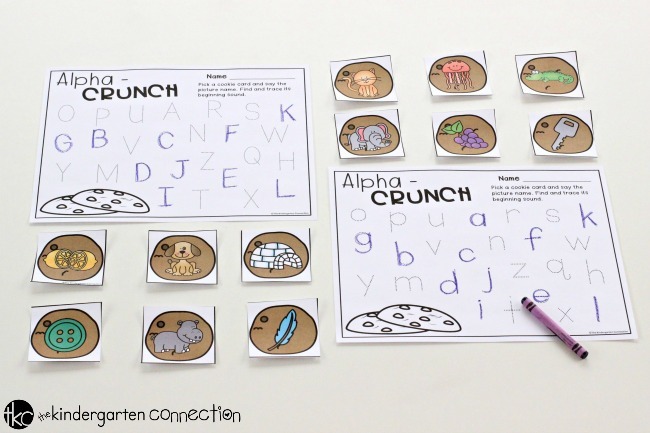 Students will work alone or with a partner to trace letters of the alphabet that match the beginning sounds cookies! This activity is perfect as a center activity. Place a drawstring bag or basket in the center. Children will pull out a beginning sounds cookie picture card, and say the name of the picture and also what sound the picture begins with. Using a crayon, colored pencil or marker, students will then trace the letter that the beginning sounds card matches. 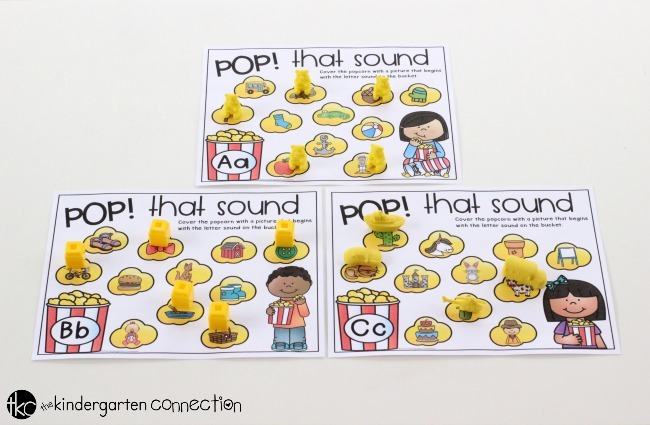 Your kids will have a blast practicing beginning sounds with these activities! 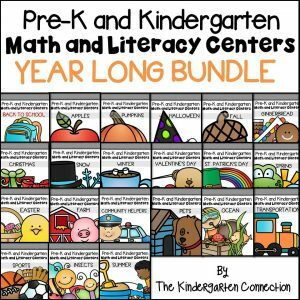 Get your pack of Beginning Sound Centers and Activities HERE, or snag the HUGE Print and Play Centers Bundle to save BIG!